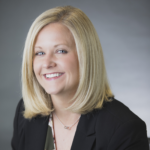 As product manager responsible for all digital offerings at Harland Clarke, Rachel Stephens keeps financial institutions up to date on household and deposit acquisition strategies, digital and technology trends, and generational marketing. 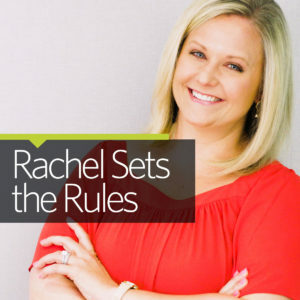 Last time on “Rachel Sets the Rules”, I talked about the balance between digital and in-person channels and the importance of adopting a “both and” mindset instead of an “either or” one. Today, I’d like to talk about why this is so important and provide some best practices for reaching it. The success of your bank or credit union depends on consumers finding their way to your front door — be it a physical or digital location. In order to do this, they need correct, complete and current information about your institution. At the moment of intent, when prospects are ready to take action, you have to be there. You have to be discoverable, available, and ready to meet their needs. Nowhere is this truer than at the intersection of digital and in-person channels. Research shows that 76 percent of people who use location search visit a business within one day. That’s even higher when the search is conducted via voice. 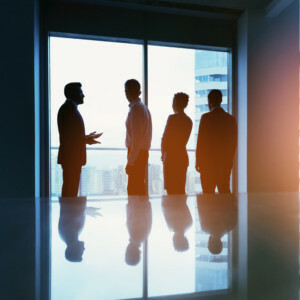 How can your bank or credit union maximize your chances of being there to meet these consumers in their moment of need? There is no single bullet that will quickly boost your search results. Long gone are the days of keyword stuffing and other tricks. Include your institution’s name, hours of operation and phone number in as many directories as possible. If you’re working with a vendor to help manage your listings, make sure the vendor has “match and lock” technology to ensure your updates are not overridden. Look beyond your website. 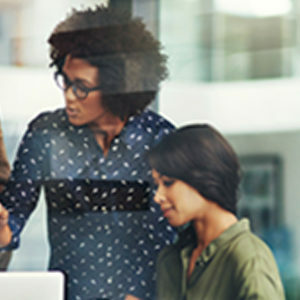 The number of touchpoints and communication channels have mushroomed in recent years, vastly increasing the complexity of keeping your information in sync and accurate at all times everywhere. The shift of traffic from your owned channels to search, maps, directories, voice, chat, etc., has been substantial: 73 percent of high-intent traffic is now going to these new services. When it comes to content and data, the more the better. By improving the structured data you provide, you improve the effectiveness of your marketing efforts and make your marketing dollars go further. Make sure your landing pages call out any niche products or services you offer. These will differentiate you from the competition in your market. Work to place your institution in local publications or blogs. This will amplify your reach and help you rank higher in search results, whenever and wherever they occur. To compete, your bank or credit union needs to view online and offline channels holistically, rather than as competing against each other. These best practices give your institution the best chance to show up everywhere consumers are looking. Whether they want to know, go, or do, you want to ensure consumers receive the best possible experience with your institution every time and everywhere they search for you — or you risk losing business to the competition. One indication of this is the rise of location services and store locators on mobile devices. Consumers are using the latest technology to find stores, not to replace them.